US-Israel Bi-National Industrial R&D (BIRD) Foundation – The BIRD Foundation provides grants up to $1 million for new product development R&D conducted jointly by American and Israeli companies. As the BIRD Foundation representative in Maryland, the MIDC can help Maryland companies find appropriate R&D partners in Israel and vice versa. Maryland Department of Commerce – The Maryland Department of Commerce has several programs that provide funding to international companies moving to Maryland. The Biotechnology and Cyber Security Investment Incentive Tax Credits are especially attractive and provide investors refundable income tax credits for investments in qualified Maryland companies. International companies are eligible if they set up a company in Maryland. 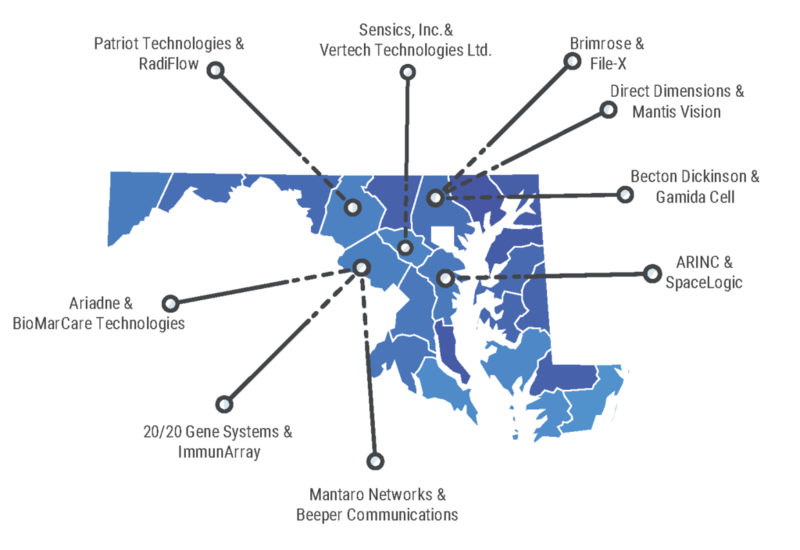 Maryland Technology Development Corporation (TEDCO) – TEDCO’s Technology Commercialization and Stem Cell Research Funds support innovative technology development and commercialization activities. To be eligible, Israeli companies must conduct the research and development in Maryland. Maryland Industrial Partnerships (MIPS) – The University of Maryland provides financial support for collaboration between businesses and university scientists and engineers. To be eligible, the company must have an office in Maryland. Maryland/Israel Trendlines Fund – While currently fully invested, the MIDC and Israeli investor Trendlines provide equity investments to startup Israeli biomedical and agri-tech companies. Angel investors – The MIDC knows a number of angel investors and can help make introductions. Banking Introductions – The MIDC will introduce you to local and national banking institutions for business loans, letters of credit for international trade and cash management and other services. The MIDC will also introduce you to investment banks to assist you with mergers and acquisitions and public offerings.